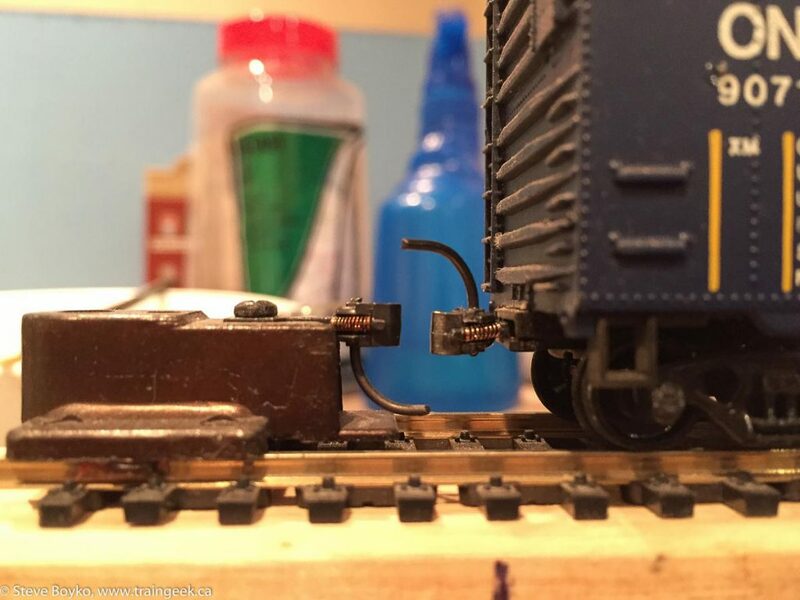 After posting that photo on the excellent Canadian Railway Modellers Facebook group, I learned that many other people have made the same mistake when installing / changing couplers. Stuff happens. It’s easy to do, especially when the car might be upside down and you’re trying to jam in the spring, coupler, put the lid on, and maybe put the screw in, all with not enough hands. At least this was easy to fix. Some things are harder to fix… like when I forgot to install a door in a grain elevator I glued down. That was a bigger fix. I don’t have a magic solution. Mistakes are going to happen. The best you can do is to plan as much as you can, and when the s**t hits the fan, take a deep breath, step back, and figure out what you can do to fix things and move on.